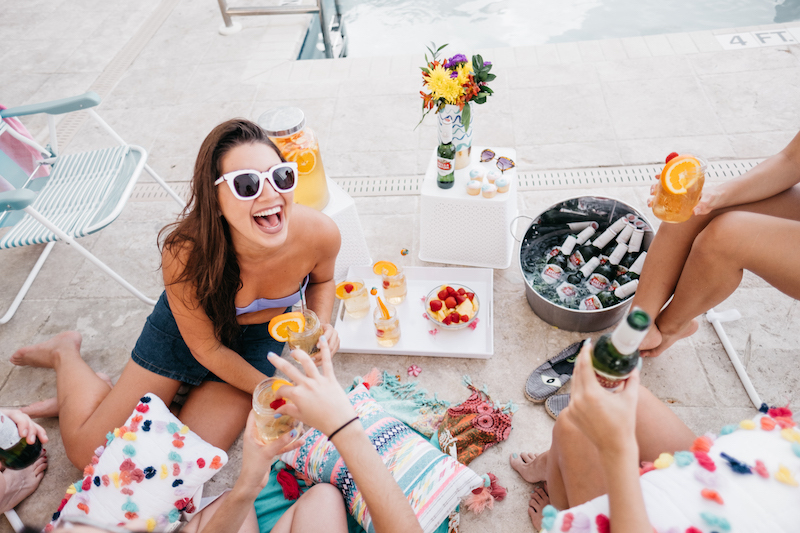 Summer is almost gone…which means we should be enjoying every single ray of sunshine. 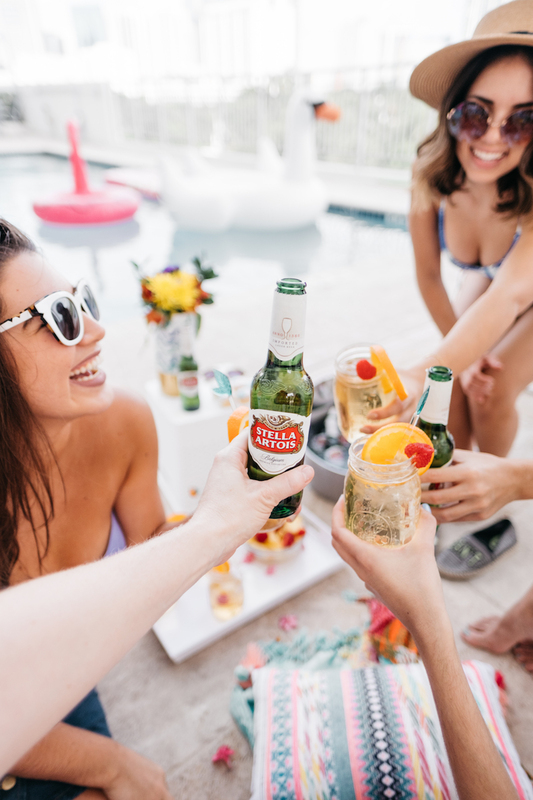 Reason why I was so excited to partner with Stella Artois to throw a fun Pool Party with some of my closest girlfriends (and guy friends who are always too shy to appear in the pictures). To prepare, I had a blast getting some fun floaties (the swan was basically most photographed floatie the whole day- but I’m also loving the flamingo and the cool chill pill!). 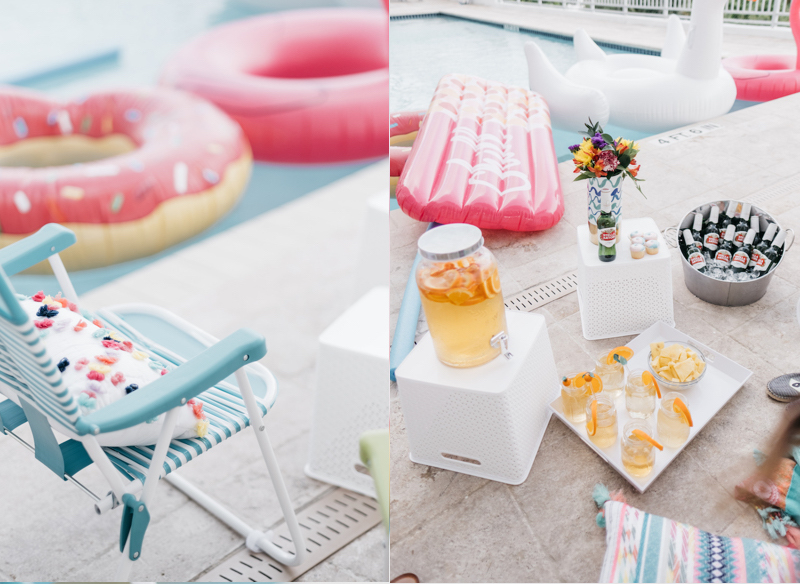 I wanted the party to have a fun and colorful vibe, so I added vibrant towels and beach throws + pillows (Thanks Pinterest for the inspiration!). 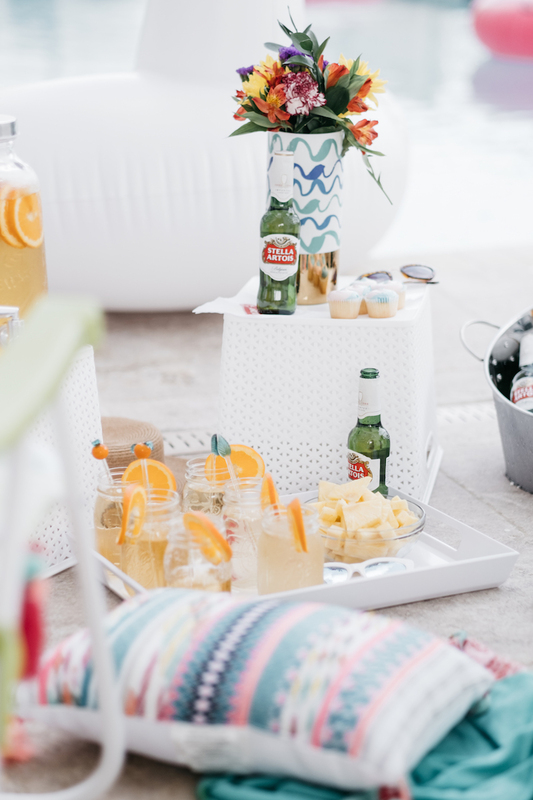 I also got some fruits, veggies, and snacks….but what’s a pool party without some refreshing drinks? 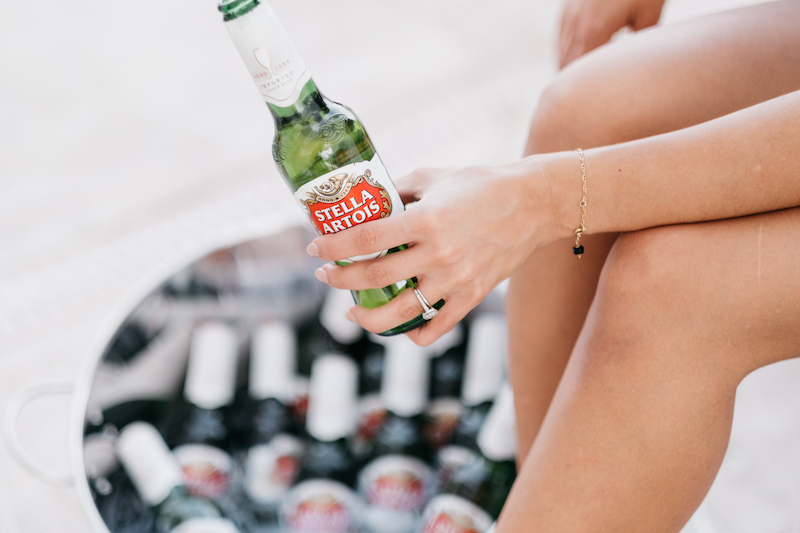 The drink star of the day was, of course, Stella Artois. 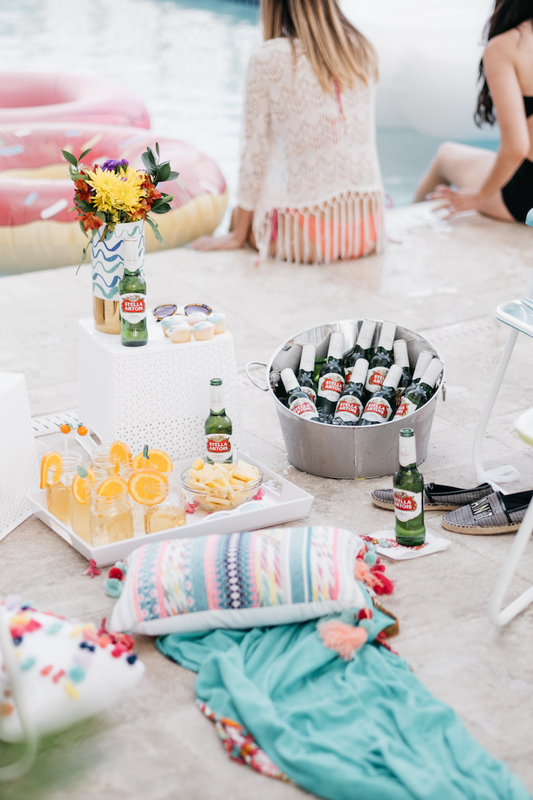 Stella Artois is delicious to drink out of the bottle, in a chalice, or can be enjoyed other ways! One of my friend’s husbands is a cocktail specialist… I asked him for some fun ideas to play with the beer. 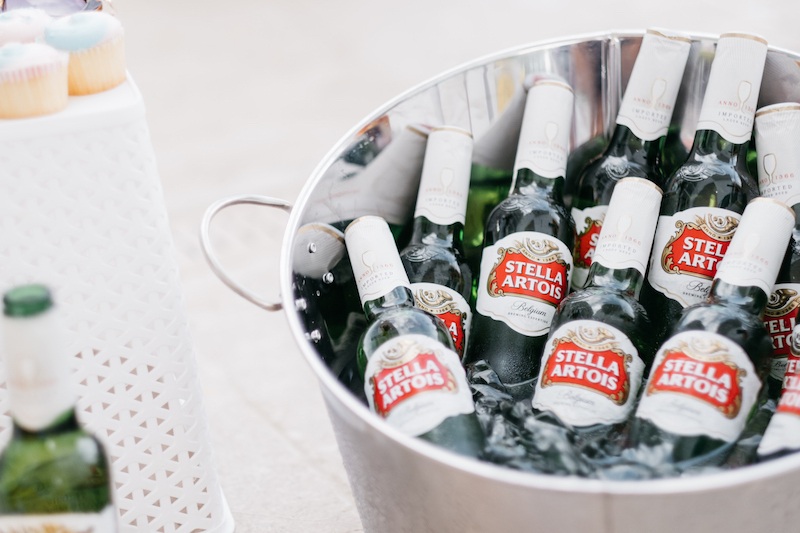 He recommended an easy summer drink: half Stella Artois beer + half Lemonade Soda + Sliced Lemons ….so easy and so perfect for a hot summer day. I served it on a mason tap full of ice and it was perfect and easy for the guests! 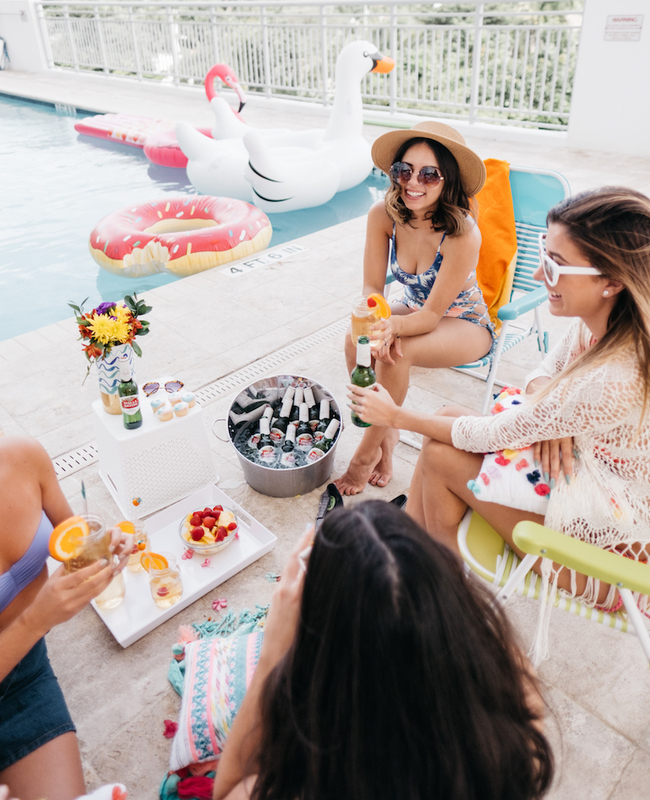 What are your plans for Labor Day? 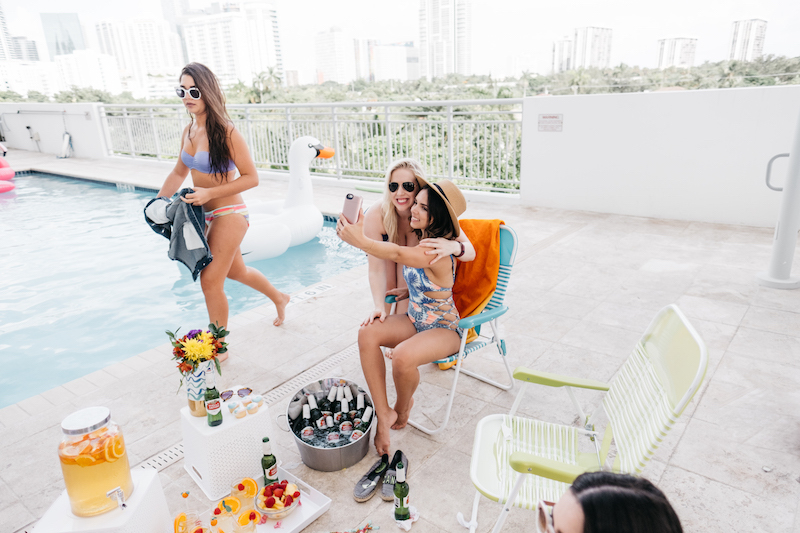 I think a pool party is always a great idea! Cheers! Muy lindas las fotos y muy lindas todas. Se ven geniales. Se ve que lo pasaron genial! Un saludo!